Comparative — The Contemplative Life. Mystic or contemplative strands of the world's religious traditions are sometimes grouped together and categorized in what has been called "The Perennial Tradition." 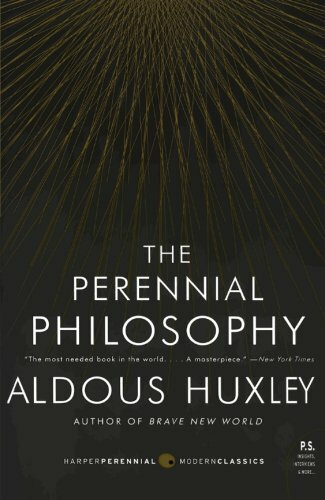 The term perennial refers to the fact that the ideas associated with these contemplative versions of faith continue to arise, and show themselves throughout history, independent of religious tradition. On this theory, the perennial contemplative tradition is embedded within each individual religion – it is the "common denominator" among the diversity of religious thought. "Philosophia Perennis: the phrase was coined by Leibniz; but the thing — the metaphysic that recognizes a divine Reality substantial to the world of things and lives and minds; the psychology that finds in the soul something similar to, or even identical with, divine Reality; the ethic that places man's final end in the knowledge of the immanent and transcendent Ground of all being — the thing is immemorial and universal." Or, put in more simplified terms: (1) There is a God or Spiritual Reality that is the Source and Ground of Existence, (2) this Spiritual Reality can be experienced within the soul of each created being, and (3) our ultimate destiny, if we choose it, is to experientially know or unite ourselves with this Reality, and reflect this union in our lives. One of the primary debates surrounding the Perennial Tradition is just how unified world mysticism actually is. On one hand, there are those who argue that Huxley and others create a false synthesis. That the mystic strands of each religious tradition are far more diverse than they are similar and can't reasonably be boiled down to a lowest common denominator. On the other hand, there are those who, along with Huxley, see more unity than diversity and believe that we can fairly speak of "a mystic philosophy" or some kind of synthesis between traditions. The content on this site leans towards seeing unity among the traditions.